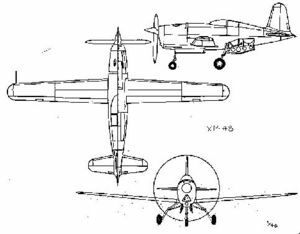 The Douglas XP-48 was a small lightweight fighter designed in 1939. Intended to be powered by a Ranger SGV-770 engine, the contract was cancelled before construction of a prototype could begin due to concerns about the projected performance of the aircraft. This page was last edited on 6 March 2007, at 03:55.